At BC Frozen Foods Ltd. our core focus is Private Label Retail and Food Service brands. 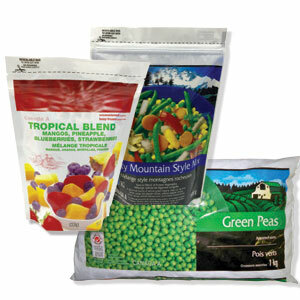 Our frozen fruits and vegetables can be found in numerous brands across North America. Our frozen fruits and vegetables are world renowned for their taste, texture and freshness. Year over year our customers continue to experience significant growth in their frozen fruit and vegetable categories. Our expertise is frozen fruits and vegetables and we are continuously travelling the globe to bring new and exciting products and packaging to our customers brands. We guide our partners in identifying meaningful trends to develop new products and assist in the complete process from an idea to a reality. Our experienced staff handle the complete process from product sensory trials and live samples, to artwork and packaging. Our turn key programs allow for rapid deployment of products to allow our customer to capitalize on trends. As part of our commitment to ensure better than expected fill rates, our plant capacity is never extended beyond realistic production volumes. As our business grows, our facility and production line follow suit to ensure capacity meets not only our customer’s seasonal demands but also their growth. Sizes range from 227 grams (8 oz) to 2.5 kg (88 oz). Custom sizes are available upon request.